An area of low pressure developing off the coast of Florida will rapidly intensify as it tracks northward toward the Maritimes and Newfoundland and Labrador. Heavy snow, strong winds and blowing snow over several areas is expected. In some areas there could be 30 or more cm. 20 to 40 cm are expected for most of the province with strong wind gusts. 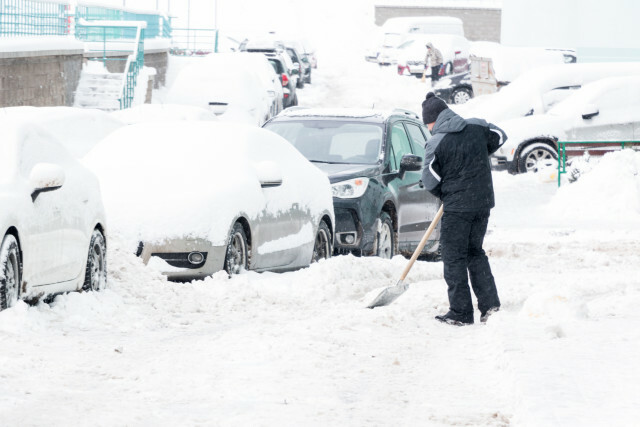 Snowfall estimates of 20 to 30 cm are expected for most of the province. There is the potential for storm surge along the shoreline. Snow will develop Thursday morning and spread northward across the province with amounts of 15 to 30 cm expected. Then precipitation changes to rain with amounts of 20 to 30 mm possible. Winds will gust to 120 km/h. There will be storm surge also. Snow and blowing snow will change to rain on Friday morning only, some areas could locally see 15 to 20 cm of snow. The heaviest rain is likely over the south coast with 10 to 20 mm possible. Winds will gust to 120 km/h in some areas. Heavy snow with 20 to 30 cm is possible on Friday. Strong winds are also possible.